Home » Customer Questions » What are the inframe door differences? 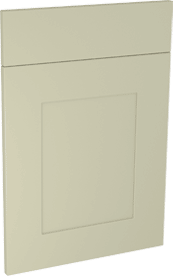 What are the inframe door differences? 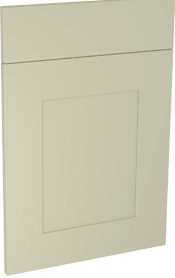 So, you’ve looked through all the door styles and you have decided you quite like the look of the inframe door styles. The following article will show you the differences between the door styles and explain what an inframe door actually is. 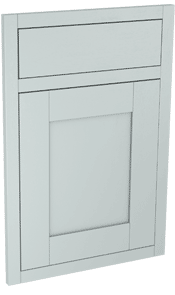 What is an inframe door? 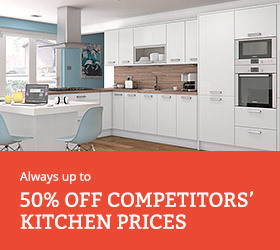 A standard kitchen door range in technical terms can be described as a lay-on kitchen door. 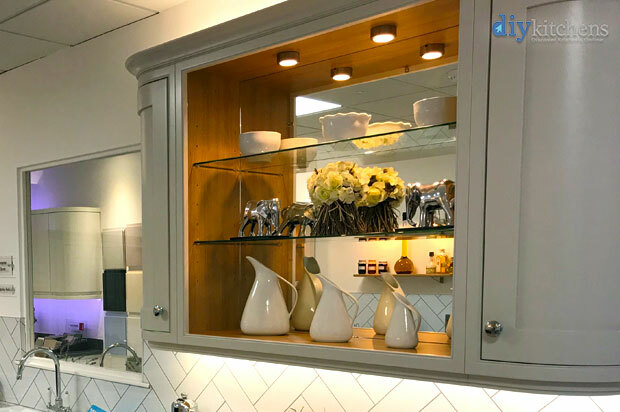 Another style of kitchen is Inframe or Face Frame, this is where a frame is attached to the front of a kitchen cabinet to hide the front edges of it. 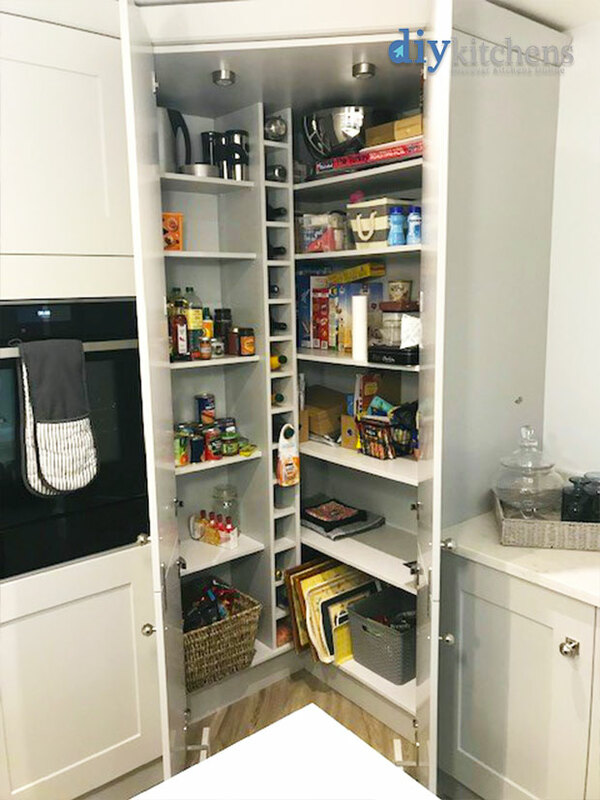 The doors and drawer fronts then sit and open within the frames and the kitchen cabinets are fitted with special hinges and drawer fronts to suit. 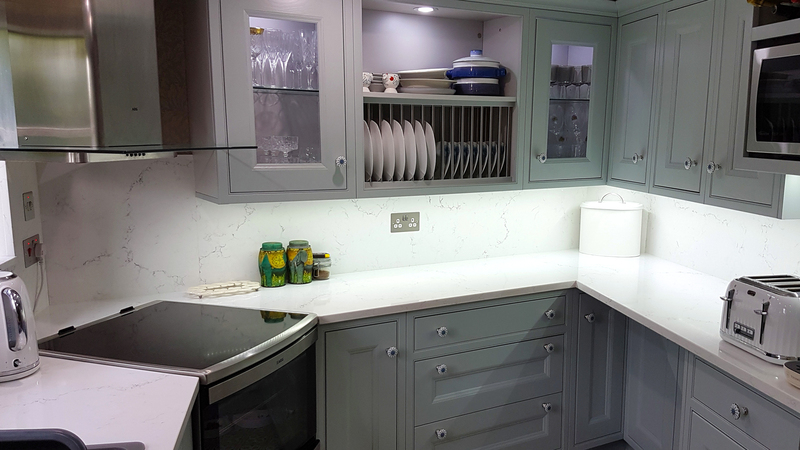 Inframe is a feature of traditional cabinetry that has become extremely popular again in recent years. 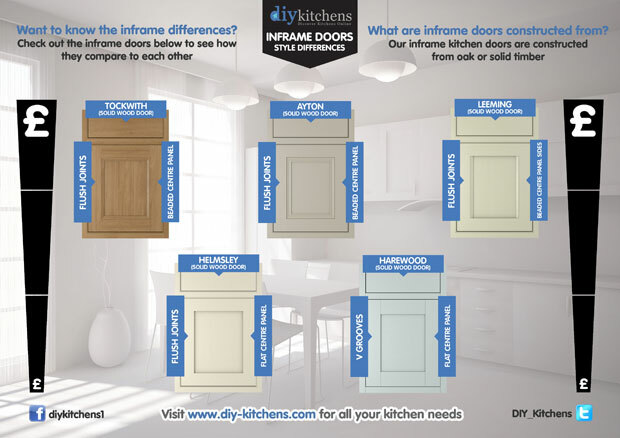 At DIY Kitchens we offer 5 different styles of inframe kitchen doors. 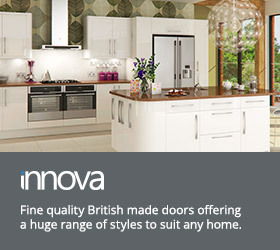 We do offer our exclusive Innova Harewood style in 11 standard finishes & also bespoke painted to any colour of your choice. What material are inframe doors made from? 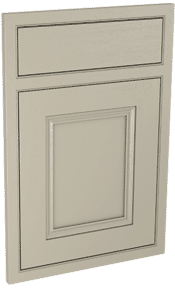 All our styles of inframe doors are made from Oak or solid timber. These door styles with their differences are shown below. 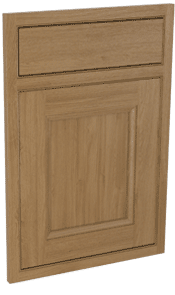 A shaker style 5 piece inframe door with a flat centre panel and v grooves along the joints with 20mm thick doors. Available in a Oak, a choice of 11 standard colours or bespoke painted to any colour you choose. A shaker style 5 piece inframe door with a flat centre panel and 20mm thick doors. Available in a Oak, a choice of 10 standard colours or bespoke painted to any colour you choose. 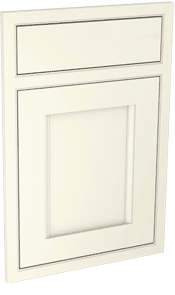 A traditional 5 piece inframe door with a 4 sided beaded centre panel and 20mm thick doors. A traditional 5 piece inframe door with a 2 sided vertical beaded centre panel and 20mm thick doors. 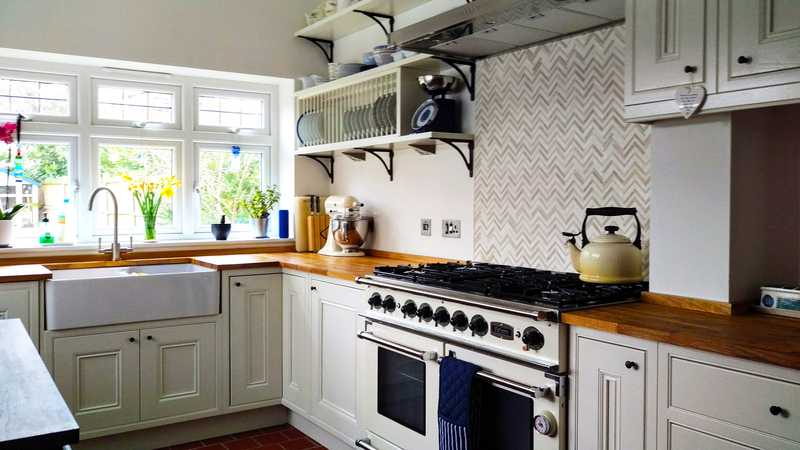 What is Cornice, Pelmet & Plinth? 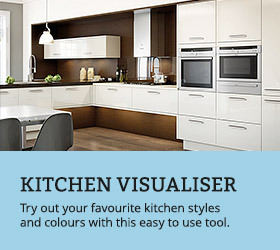 How do I fill in a 225mm gap in a kitchen run? Hi, I cannot for the life of me see the difference between your Ayton and Tockwith doors. The descriptions are identical and any visual differences are very difficult to see from the pictures provided. Can you help? 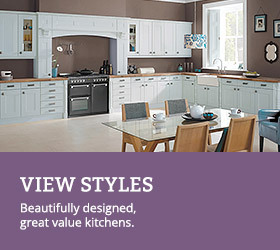 Hi Richard, here is an Ayton Kitchen. The differences are in the centre panel. The centre panel on the Ayton door is a little more ornate.